It’s holiday time once again. For many editors that means it’s time to gift themselves with some new tools and toys to speed their workflows or just make the coming year more fun! Here are some products to consider. Just like the tiny house craze, many editors are opting for their laptops as their main editing tool. I’ve done it for work that I cut when I’m not freelancing in other shops, simply because my MacBook Pro is a better machine than my old (but still reliable) 2009 Mac Pro tower. One less machine to deal with, which simplifies life. But to really make it feel like a desktop tool, you need some accessories along with an external display. For me, that boils down to a dock, a stand, and an audio interface. There are several stands for laptops. I bought both the Twelve South BookArc and the Rain Design mStand: the BookArc for when I just want to tuck the closed MacBook Pro out of the way in the clamshell mode and the mStand for when I need to use the laptop’s screen as a second display. Another option some editors like is the Vertical Dock from Henge Docks, which not only holds the MacBook Pro, but also offers some cable management. The next hardware add-on for me is a USB audio interface. This is useful for any type of computer and may be used with or without other interfaces from Blackmagic Design or AJA. The simplest of these is the Mackie Onyx Blackjack, which combines interface and output monitor mixing into one package. This means no extra small mixer is required. USB input and analog audio output direct to a pair of powered speakers. But if you prefer a separate small mixer and only want a USB interface for input/output, then the PreSonus Audiobox USB or the Focusrite Scarlett series is the way to go. Another ‘must have’ with any modern system is a Thunderbolt dock in order to expand the native port connectivity of your computer. There are several on the market but it’s hard to go wrong with either the CalDigit Thunderbolt Station 2 or the OWC Thunderbolt 2 Dock. Make sure you double-check which version fits for your needs, depending on whether you have a Thunderbolt 2 or 3 connection and/or USB-C ports. I routinely use each of the CalDigit and OWC products. The choice simply depends on which one has the right combination of ports to fit your needs. Drives are another issue. With a small system, you want small portable drives. While LaCie Rugged and G-Technology portable drives are popular choices, SSDs are the way to go when you need true, fast performance. A number of editors I’ve spoken to are partial to the Samsung Portable SSD T5 drives. These USB3.0-compatible drives aren’t the cheapest, but they are ultraportable and offer amazing read/write speeds. Another popular solution is to use raw (uncased) drives in a drive caddy/dock for archiving purposes. Since they are raw, you don’t pack for the extra packaging, power supply, and interface electronics with each, just to have it sit on the shelf. My favorite of these is the HGST Deckstar NAS series. For many editors the software world is changing with free applications, subscription models, and online services. The most common use of the latter is for review-and-approval, along with posting demo clips and short films. Kollaborate.tv, Frame.io, Wipster.io, and Vimeo are the best known. There are plenty of options and even Vimeo Pro and Business plans offer a Frame/Wipster-style review-and-approval and collaboration service. Plus, there’s some transfer ability between these. For example, you can publish to a Vimeo account from your Frame account. Another expansion of the online world is in team workgroups. A popular solution is Slack, which is a workgroup-based messaging/communication service. As more resources become available online, the benefits of large-scale computing horsepower are available to even single editors. One of the first of these new resources is cloud-based, speech-to-text transcription. A number of online services provide this functionality to any NLE. Products to check out include Scribeomatic (Coremelt), Transcriptive (Digital Anarchy), and Speedscriber (Digital Heaven). They each offer different pricing models and speech analysis engines. Some are still in beta, but one that’s already out is Speedscriber, which I’ve used and am quite happy with. Processing is fast and reasonably accurate, given a solid audio recording. Naturally free tools make every user happy and the king of the hill is Blackmagic Design with DaVinci Resolve and Fusion. How can you go wrong with something this powerful and free with ongoing company product development? Even the paid versions with some more advanced features are low cost. However, at the very least the free version of Resolve should be in every editor’s toolkit, because it’s such a Swiss Army Knife application. On the other hand, editors who have the need to learn Avid Media Composer, need look no further than the free Media Composer | First. Avid has tried ‘dumbed-down’ free editing apps before, but First is actually built off of the same code base as the full Media Composer software. Thus, skills translate and most of the core functions are available for you to use. Many users are quite happy with the advantages of Adobe’s Creative Cloud software subscription model. Others prefer to own their software. If you work in video, then it’s easy to put together alternative software kits for editing, effects, audio, and encoding that don’t touch an Adobe product. Yet for most, the stumbling block is Photoshop – until now. Both Affinity Photo (Serif) and Pixelmator Pro are full-fledged graphic design and creation tools that rival Photoshop in features and quality. Each of these has its own strong points. Affinity Photo offers Mac and Windows versions, while Pixelmator Pro is Mac only, but taps more tightly into macOS functions. If you work in the Final Cut Pro X world, several utilities are essential. These include SendToX and XtoCC from Intelligent Assistance, along with X2Pro Audio Convert from Marquis Broadcast. Marquis’ newest is Worx4 X – a media management tool. It takes your final sequence and creates a new FCPX library with consolidated (trimmed) media. No transcoding is involved, so the process is lighting fast. Although in some cases media is copied without being trimmed. This can reduce the media to be archived from TBs down to GBs. They also offer Worx4 Pro, which is designed for Premiere Pro CC users. This tool serves as a media tracking application, to let editors find all of the media used in a Premiere Pro project across multiple volumes. Most editors love to indulge in plug-in packages. If you can only invest in a single, large plug-in package, then BorisFX’s Boris Continuum Complete 11 and/or their Sapphire 11 bundles are the way to go. These are industry-leading tools with wide host and platform support. 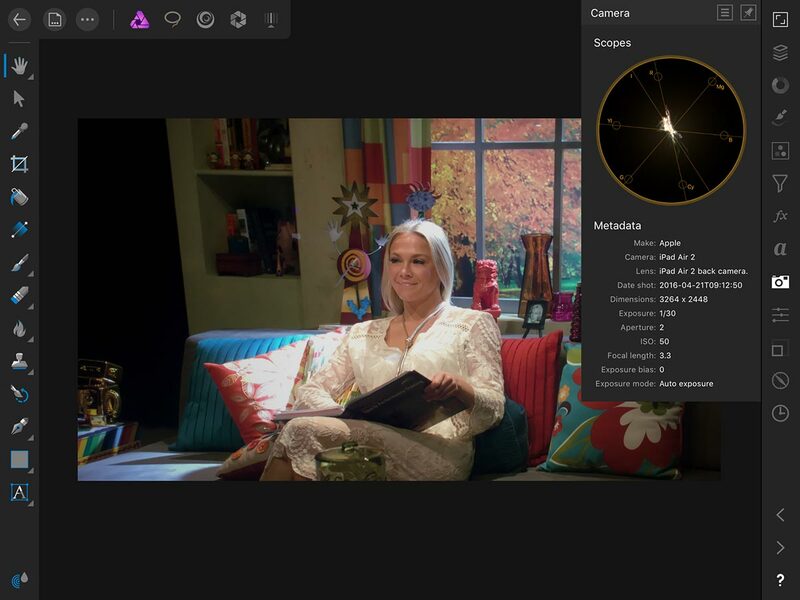 Both feature mocha tracking integration and Continuum also includes the Primatte Studio chromakey technology. If you want to go for a build-it-up-as-you-need-it approach – and you are strictly on the Mac – then FxFactory will be more to your liking. You can start with the free, basic platform or buy the Pro version, which includes FxFactory’s own plug-ins. Either way, FxFactory functions as a plug-in management tool. FxFactory’s numerous partner/developers provide their products through the FxFactory platform, which functions like an app store for plug-ins. You can pick and choose the plug-ins that you need when the time is right to purchase them. There are plenty of plug-ins to recommend, but I would start with any of the Crumplepop group, because they work well and provide specific useful functions. They also include the few audio plug-ins available via FxFactory. Another plug-in to check out is the Hawaiki Keyer 4. It installs into both the Apple and Adobe applications and far surpasses the built-in keying tools within these applications. The Crumplepop FxFactory plug-ins now includes Koji Advance, which is a powerful film look tool. I like Koji a lot, but prefer FilmConvert from Rubber Monkey Software. To my eyes, it creates one of the more pleasing and accurate film emulations around and even adds a very good three-way color corrector. This opens as a floating window inside of FCPX, which is less obtrusive than some of the other color correction plug-ins for FCPX. It’s not just for film emulation – you can actually use it as the primary color corrector for an entire project. I don’t want to forget audio plug-ins in this end-of-the-year roundup. Most editors don’t feel too comfortable with a ton of surgical audio filters, so let me stick to suggestions that are easy-to-use and very affordable. iZotope is a well-known audio developer and several of its products are perfect for video editors. These fall into repair, mixing, and mastering needs. These include the Nectar, Ozone, and RX bundles, along with the RX Loudness Control. The first three groups are designed to cover a wide range of needs and, like the BCC video plug-ins, are somewhat of an all-encompassing product offering. But if that’s a bit rich for the blood, then check out iZotope’s various Elements versions. The iZotope RX Loudness Control is great for accurate loudness compliance, and best used with Avid or Adobe products. However, it is not real-time, because it uses analysis and adaptive processing. If you want something more straightforward and real-time, then check out the LUFS Meter from Klangfreund. It can be used for loudness control on individual tracks or the master output. It works with most of the NLEs and DAWs. A similar tool to this is Loudness Change from Videotoolshed. Finally, let’s not forget the iOS world, which is increasingly becoming a viable production platform. For example, I’ve used my iPad in the last year to do location interview recordings. This is a market that audio powerhouse Apogee has also recognized. If you need a studio-quality hardware interface for an iPhone or iPad, then check out the Apogee ONE. In my case, I tapped the Apogee MetaRecorder iOS application for my iPad, which works with both Apogee products and the iPad’s built-in mic. It can be used in conjunction with FCPX workflows through the integration of metadata tagging for Keywords, Favorites, and Markers. Have a great holiday season and happy editing in the coming year! UK developer Serif has been busy creating a number of Mac, Windows, and now iOS applications that challenge Adobe’s stranglehold on the imaging industry. Newest of these is Affinity Photo for the iPad. As newer iPads become more powerful – starting with the Air 2 and moving into the present with two Pro models – iOS app developers are taking notice. 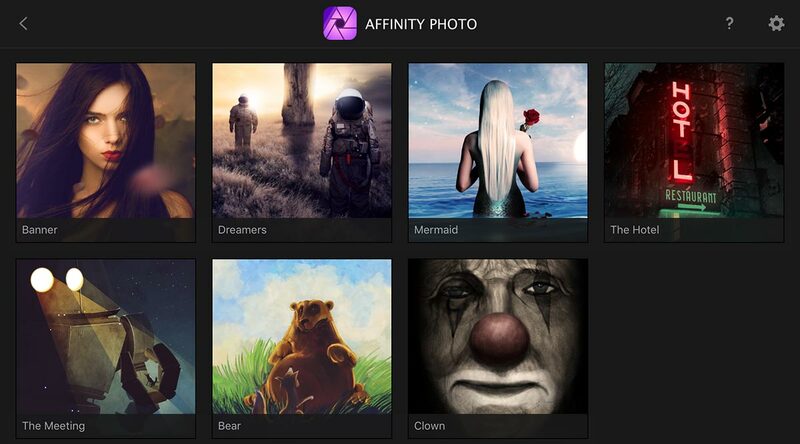 There have been a number of graphic and design apps available for iOS for some time, including Adobe Photoshop Express (PS Express), but none is as full-featured as Affinity Photo. There is very little compromise between the desktop version and the iPad version, making is the most sophisticated iOS application currently on the market. 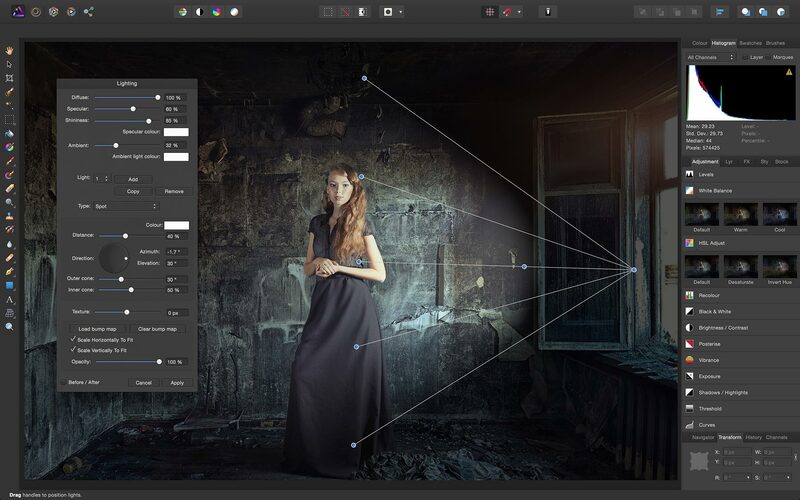 Affinity Photo starts with an elegant user interface, that’s broken down into five “personas”. These are essentially workspaces and include Photo, Selections, Liquify, Develop, and Tone Mapping. Various tools, specific to each persona, populate the left edge of the screen. So in Photo, that’s where you’ll find crop, move, brush tools and more. The right edge displays a series of “Studios”. These often contain a set of tools, like layer management, adjustment filters, channel control, text, and so on. There’s everything there that we’ve come to expect from an advanced desktop graphics application. Naturally, if you own an iPad Pro with the Apple Pencil, then you can further take advantage of Serif’s support for the pressure-sensitivity of that input device. Best of all, response is very fluid. For example, the Liquify persona offers an image mesh that you can drag around to bend or deform an image. There’s virtually no lag while doing this. Some changes require rasterization before moving on. In the case of Liquify, changes are non-destructive, until you exit that persona. Then you are asked whether or not to commit to those changes. If you commit, then the distortion you’ve done in that persona is rendered to the image inside of the Photo app. When working with photography, you’ll do your work either in the Develop or the Tone Mapping persona. As you would expect, Develop includes the standard photo enhancement tools, including color, red-eye, and lens distortion correction. There’s also detail enhancement, noise reduction, and a blemish removal tool. Tone mapping is more exotic. While intended for work with high dynamic range images, you can use these tools to create very stylized enhancement effects on non-HDR images, too. All of this is great, but how do you get in and out of the iPad? That’s one of Affinity Photo’s best features. Like most iOS apps, you can bring in files from various cloud services like Dropbox. But being a photography application, you can also import any native iPad images from other applications, like the native Apple Photos. Therefore, if you snap a photo with your iPad camera, it’s available to Affinity Photo for enhancement. When you “save a copy” of the document, the processed file is saved to iCloud in its native .afphoto file format. These images can be accessed from iCloud on a regular Mac desktop or laptop computer. So if you also have the desktop (macOS) version of Affinity Photo, it will read the native file format, preserving all of the layer and effects information within that file. In addition, you can export a version from the iPad in a wide range of graphic formats, including Photoshop. 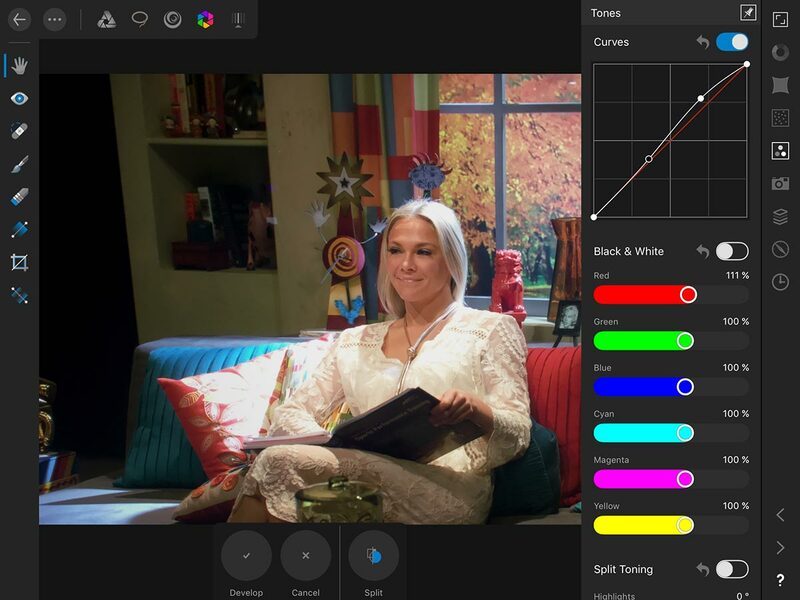 Affinity Photo includes sophisticated color management tools that aren’t commonly available in an iOS photo/graphics application. Exports may be saved in various color profiles. In addition, you can set various default color profiles and convert a document’s profile, such as from RGB to CMYK. While having histograms available for image analysis isn’t unusual, Affinity Photo also includes tools like waveform displays and a vectorscope, which are familiar to video-centric users. Serif has made it very easy to get up and running for new users. At the launch screen, you have access to an interactive introduction, an extensive list of help topics, and tutorials. You can also access a series of complex sample images. When you pick one of these, it’s downloaded to your iPad where you can dive in and deconstruct or modify it to your heart’s content. Lastly, all personas include a question mark icon in the lower right corner. Touch and hold the icon and it will display the labels for all of the tools in that persona. Thus, it’s very easy to switch over if you come from a Photoshop-centric background. Affinity Photo is a great example of what the newest iPads are capable of. Easy interchange between the iOS and macOS versions are the icing on the cake, enabling the iPad to be part of a designer’s arsenal and not simply a media consumption device. It’s holiday time again and a chance to take a break from serious talk about editing and the tools – sort of. I’ve done a version of this post for a few years. Usually I take a series of my photos and run them through Photoshop, Lightroom, or one of the other photography applications to create stylized treatments. This year, I figured, why not try it with Final Cut Pro X? 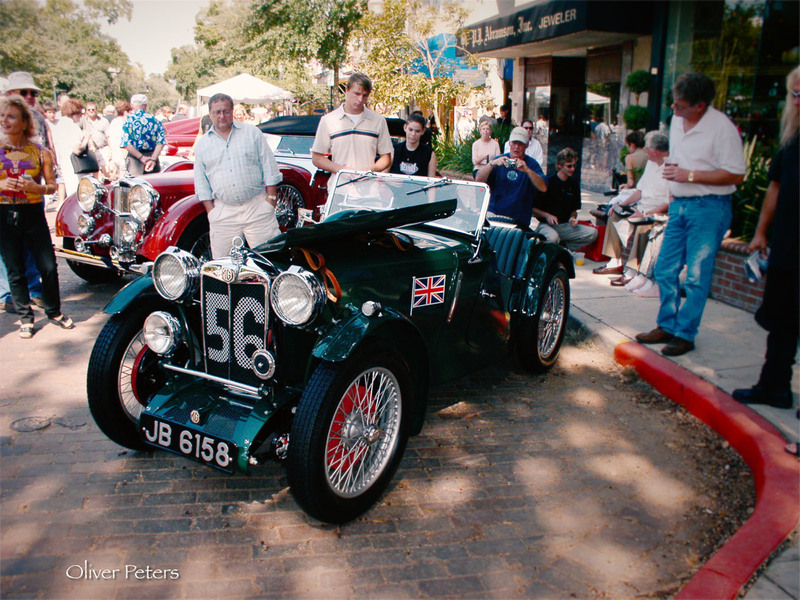 These images have all been processed in a custom FCP X timeline set to 2000 x 1500 pixels. I’ve used a wide range of filters, including some from the FxFactory partner family, Koji, the built-in FCP X effects, as well as my own Motion templates published over from Motion. Enjoy these as we go into the holiday season. See you in the new year! Click any image to see a slideshow of these photos. Photoshop users who are looking for an alternative to Adobe may find a refuge in Affinity Photo and Affinity Designer. Both are being developed for the Mac platform by British software developer Serif. This is a separate line from their Windows products and is their first collection built from the ground up to take advantage of the newest Mac and OS X capabilities. 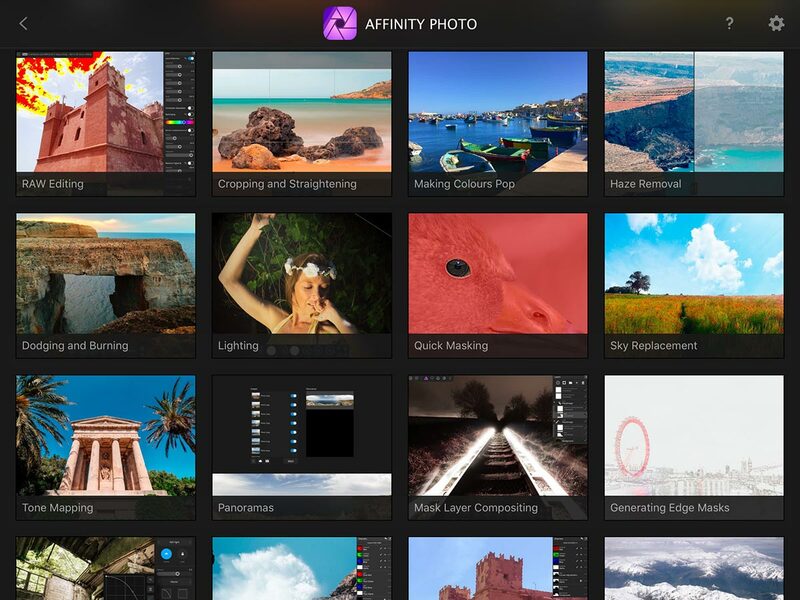 Affinity Photo, which was released on July 9 after an extended public beta period, competes with Adobe Photoshop. 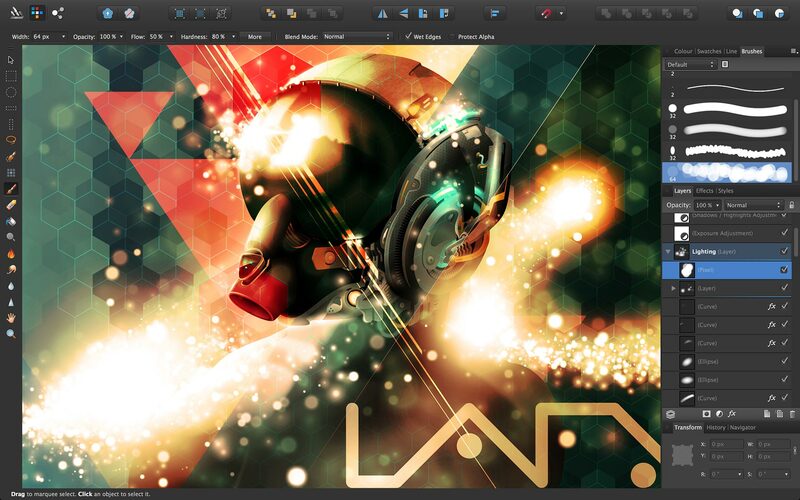 Affinity Designer is aimed at Adobe Illustrator. Both applications are available through the Mac App Store. They share a common file format. Affinity Designer just won the Apple Design Award at WWDC 2015. Due later this year will be Affinity Publisher – a desktop publishing application. I’ve been testing both Affinity Photo and Affinity Designer for a few months and have been very impressed. Most of it has initially been with the public beta of Photo. Since I’m not a big Illustrator user, I really can’t adequately compare Illustrator and Designer, except to say that it’s a very capable vector-based drawing and design application. The application will import .ai files, but roundtrip compatibility is largely through certain common standards: PNG, TIFF, JPEG, GIF, SVG, EPS, PSD or PDF. The layout is built around three modes called “personas”. Start in the Draw Persona to create your document. Switch to the Pixel Persona for paint and adjustment functions. Finally, export through the Export Persona. I spent more time with Affinity Photo, to see how viable it is as a Photoshop replacement. Its four modes includes the Photo, Liquify, Develop, and Export Personas. 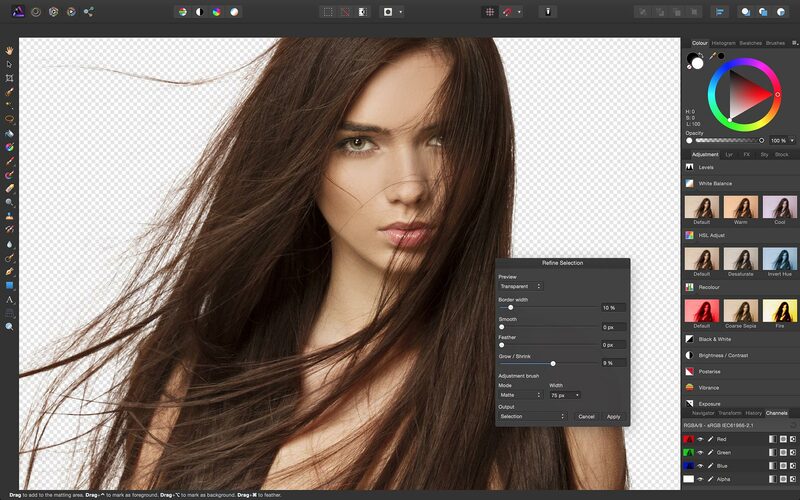 Photo is the closest to Photoshop in style and toolset, while Develop is more like the Lightroom toolkit. Liquify is designed for image distortion based on a mesh. Most of the image adjustment tools in the Photo Persona are adjustments layers. In general, Affinity Photo feels a lot like Adobe Photoshop, but as with any of these tools, things are in enough different places that experienced Photoshop users will be counteracting years of muscle memory in making the switch. Nevertheless, you’d have a great comfort factor with Affinity Photo, since the toolset, adjustment layers and layer styles working in a similar fashion. One powerful set of effects is Live Filter layers. These are similar to Adjustment Layers in that they are editable and don’t bake an effect into the layer. The difference is that a Live Filter can be added to that layer only and doesn’t affect everything beneath it, like a standard adjustment layer. Live Filters can be re-arranged, disabled or edited at any time without relying on undo. Compatibility between Affinity Photo and Adobe Photoshop is good and Serif states that they are aiming for the best compatibility on the market. In this current version, I had better luck going from Photo into Photoshop using a layered .psd file, than I did bringing a file created in Photoshop into Photo. The usual culprits are layer effects and vector based objects. In Photoshop, the Photo-created adjustment layer effects came across, but text with layer effects was merged into a rasterized layer with the layer effects baked in. When I went from Photoshop to Photo, layer effects were simply dropped. Affinity Photo is supposed to use third-party Photoshop plug-ins, but my attempts to use Magic Bullet Looks crashed Photo. Unlike Pixelmator (another Mac-based Photoshop alternative), Affinity Photo cannot use Quartz Composer-based filters, such as those from FxFactory. According to Serif, they will be working with plug-in manufacturers to improve the app-side support for 64-bit plug-ins. If you aren’t completely locked into compatibility with Adobe Photoshop files sent to and from clients – and you are interested in an alternative solution – then the Affinity applications from Serif are a very strong alternative for Mac users. They are fun, fast and yield great results. Originally written for Digital Video magazine / CreativePlanetNetworks. Unless you’ve been in a cave, you know that Apple replaced iPhoto and Aperture with Photos, a free photo organizing and processing tool that comes with current versions of the Mac operating system. Its biggest strength is the tie-in with Apple’s iCloud services. Since I don’t own an iPhone, that aspect has no value to me, so this overview is from the point-of-view of a desktop application. In other words, how does it stack up against Apple Aperture or Adobe Lightroom? If your need is to create slideshows and books, it’s extremely easy. Simply import the photos you want, group them into a project and then create a book or slideshow from that project. Any of these items is based on templates with preset designs that can be modified. They include editable placeholder text. Printed photo books can be purchased through the application. Double-clicking any photo opens it into the image editor, which is the closest to Aperture’s adjustment or Lightroom’s develop mode. When you edit the image, a series of tools opens on the right. These can be used to crop, add stylizing filters, heal blemishes, or fix red-eye. The Adjustments tool opens a set of sliders for various color adjustments, but the “add” pulldown enables quite a few more controls than the default. In total, this makes the level of control fairly sophisticated. With the release of OS X 10.11 (“El Capitan”) Photos now gains the ability to use Extensions. These are hooks that allow developers to connect to other mini-applications, which can add functionality to an application – in this case Photos. It would appear that Apple is taking a similar direction with Photos as they did with Final Cut Pro X. That is, to provide hooks so that the growth of the application comes from third-party developers. 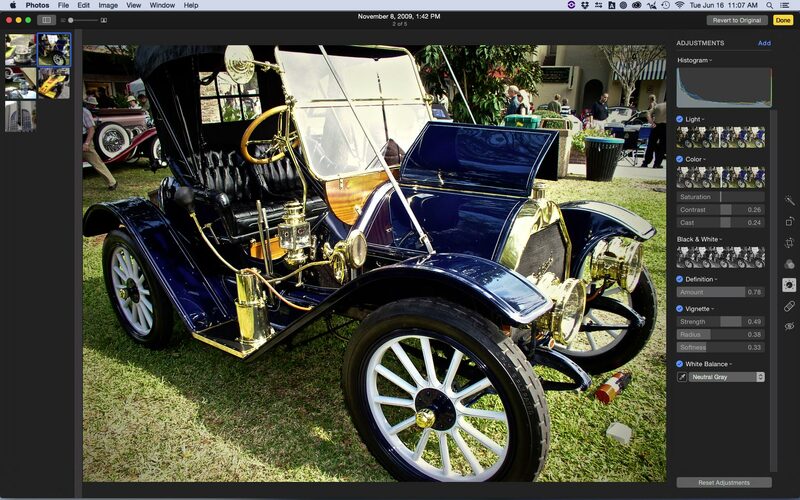 The first developer to add effects and adjustment tools for Photos is Macphun. I haven’t tested these, but they appear to add a lot of power to Photos. 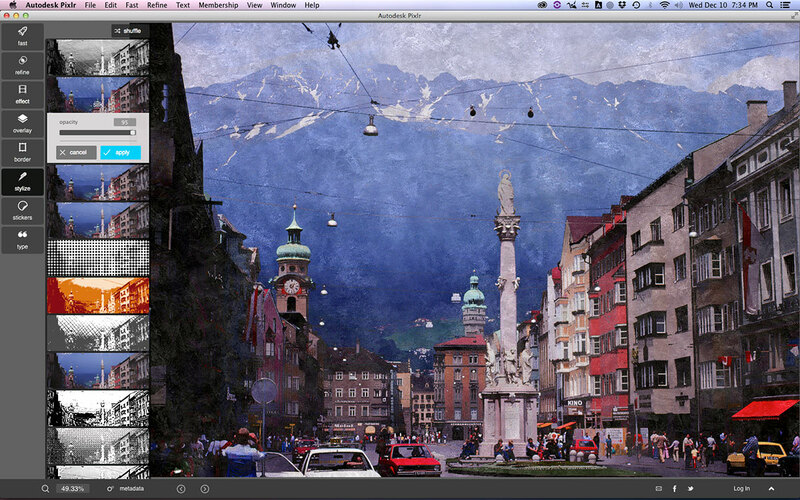 Another recent update is Pixelmator, whose Distort tool is now available within Photos thanks to Extensions. These new tools are available through the Mac App Store. Exports are handled through a share menu, as in Final Cut Pro X. Unfortunately it doesn’t have the sort of batch processing control that Aperture or Lightroom offers. While I consider this a functional new tool that many will like, it really isn’t for photography power users who need an industrial strength application. Nevertheless, it’s fast and a good organizing tool. On a recent project with about 1,000 old photographs and 35mm slides, I used Lightroom for all the image correction, but then exported adjusted, final images. I am now using Photos to handle the subsequent management of these newly-corrected shots. If you are a video editor who has to prep a ton of photos for use in an NLE, then Apple Photos offers little or nothing over the tools you’ve been using thus far, unless you just want to go with a newer, simpler tool. Although Photos uses a similar Album and Project organizing structure as Aperture, I find its tabbed implementation too simplistic and actually more confusing than the sidebar panel used in Aperture. I personally prefer the folder and subfolder structure of Lightroom, but either works for me. My honest advice is that if you want the best tool, get Lightroom or find a (now defunct) version of Aperture and use that. However, for basic corrections and fast organization of a lot of files, Photos is definitely a viable option. I’m back again this year with another post about stylizing photography. Thanks to Adobe’s Creative Cloud subscription model, the interest in alternatives to Photoshop has increased. 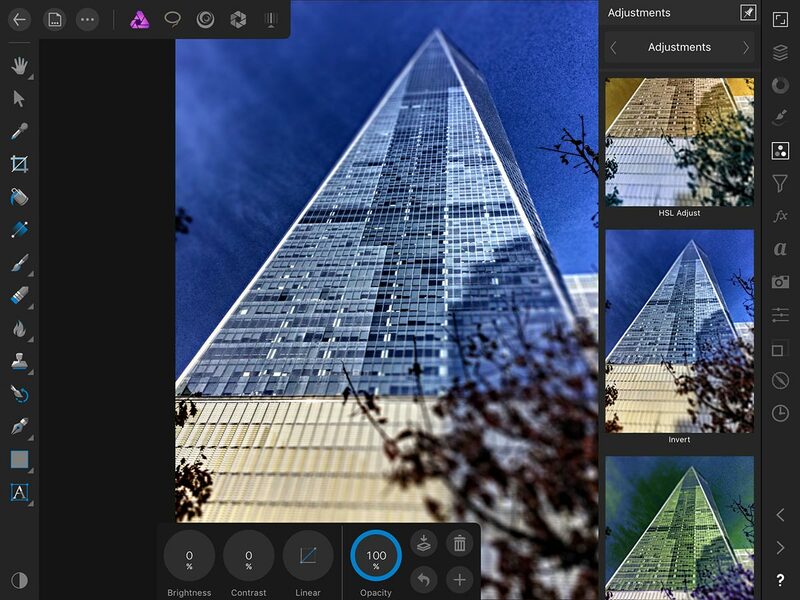 One application I ran across this year was Pixlr, which has been picked up by Autodesk. Free PC and Mac versions are available at their website and through the Mac App Store. You may then opt to extend it with a subscription. However, there’s plenty of power in the free version if your main interest is basic image correction (color adjustments, cropping, reframing). 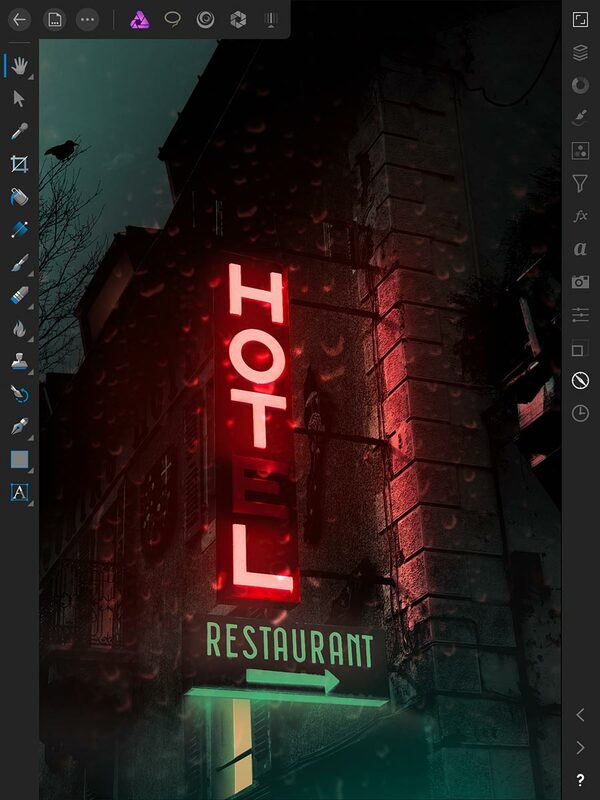 Of course, given the interest in stylizing photos with filters – the “Instagram” look – Pixlr features a number of menu options for effects, overlays and image styles. These are based on in-app downloads, so as you pick a category, the necessary files are downloaded and installed in the background to populate the selection, thus creating a library of elements to work with. Below are a set of images processed with the free version of Pixlr. I’ve used many of these photo examples before, so if you check out the previous Photo Phun posts, you’ll be able to compare some of the same photos, but with different looks and styles. Click on any image below for a slideshow. Merry Christmas and Happy Holidays! See you in the new year! Time to come back with a look at photography – just for the fun of it. Earlier this year I talked about using Pixelmator as an alternative to Photoshop. When I work with photos, I prefer to use Lightroom, Aperture and/or Photoshop (in that order). For extra effects, a touch of Tiffen Dfx, DFT Film Stocks or Magic Bullet Looks also gives you more pizzazz. While Pixelmator is pretty “lite” compared with Photoshop, it still gives most casual photographers more than enough control to enhance their images. Since it is based on Apple’s Core Image technology, it can also serendipitously take advantage of some of the FxFactory effects plug-ins. Below is a set of images processed strictly with Pixelmator. I did use some of the FxFactory filters just because they were there, but understand that most of these effects also have native equivalents within Pixelmator. So, FxFactory filters are not an essential part in using Pixelemator as your image processing application. Click on any image below for a slideshow. Are you ready for a custom PC?